I thought I'd take another opportunity to point out to Mandy that I have Instagram and she does not. Drives her crazy. She loves Instagram but is too cheap to upgrade her cell plan to a phone that is Instagram compatible. I've tried to talk her into it, but can't push too hard. After all, what kind of man encourages his wife to spend more money on anything? Since I have Instagram, and Instagram Friday is all the rage, I thought I'd contribute this week with something that I captured parked at our house this week. Count 'em. Twenty-six kids. Not grandkids. Kids. One generation. Courtesy of my aunt and uncle. Some of my favorite memories growing up are from spending time with this family. Check out one of the 26 at her blog here. 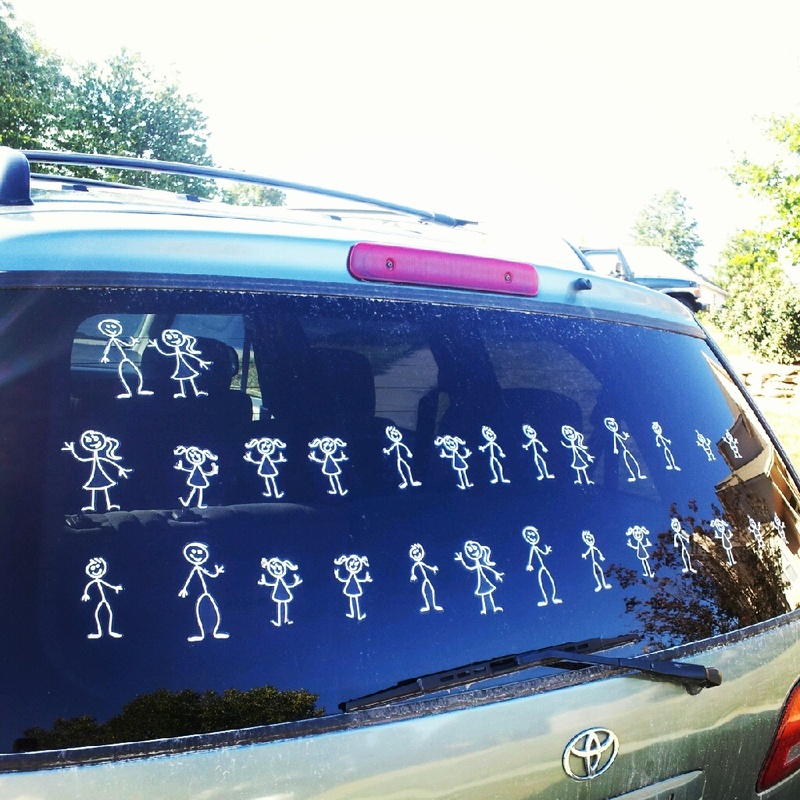 And I thought that four kids was a car load. oh dear!! !they sound like the right two people to make htis work. What a great article! They sound amazing.